Once again finding itself in a familiar position, which seems to be the norm for it for quite some time now, Nokia is feverishly looking to rebound in the mobile market with a few upcoming models that'll hopefully spur some business its way. More recently, it's still rather difficult to say concretely whether or not the versatile Nokia N8 has the necessary wow factor to grab some attention in this already cut throat market. 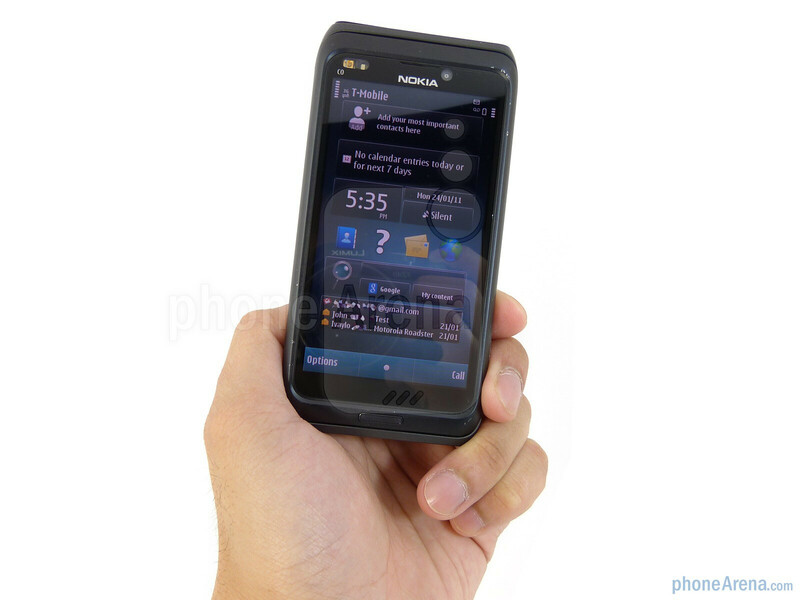 However, they're attempting to focus their attention now in the business enterprise segment with their modern concoction for their once beloved Communicator Series with the Nokia E7. Retaining most of the wonderful features and design cues from the Nokia N8, the E7 just might have the perfect mix of ingredients, with its peculiar looking keyboard, to consider itself as being the next big smartphone from Nokia's camp. Granted that we're checking out a mere prototype of the Nokia E7, we're taken by surprise at its stunning craftsmanship that oozes from head to toe with the utmost attention to detail. 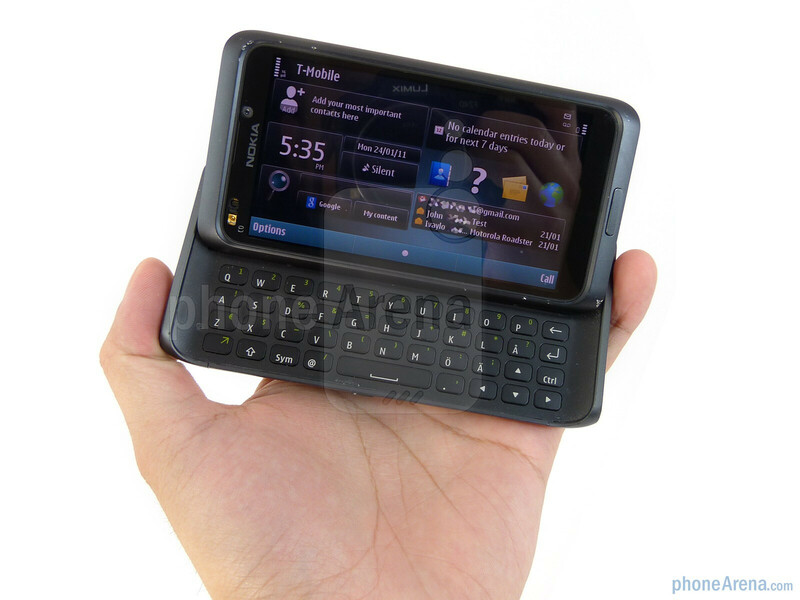 Specifically, it's essentially a longer and wider version of the Nokia N8, but manages to pack on a landscape keyboard to its 0.54” sleek anodized aluminum casing. Just grasping it in the hand, there is this enveloping feeling that occurs because it's meticulously well built all around; not to mention resilient in battling normal wear and tear. However, there is still that noticeable weight (6.21 oz) that it's carrying around – and we'd argue that a drop from a lengthy height can still adversely damage it's pristine exterior. 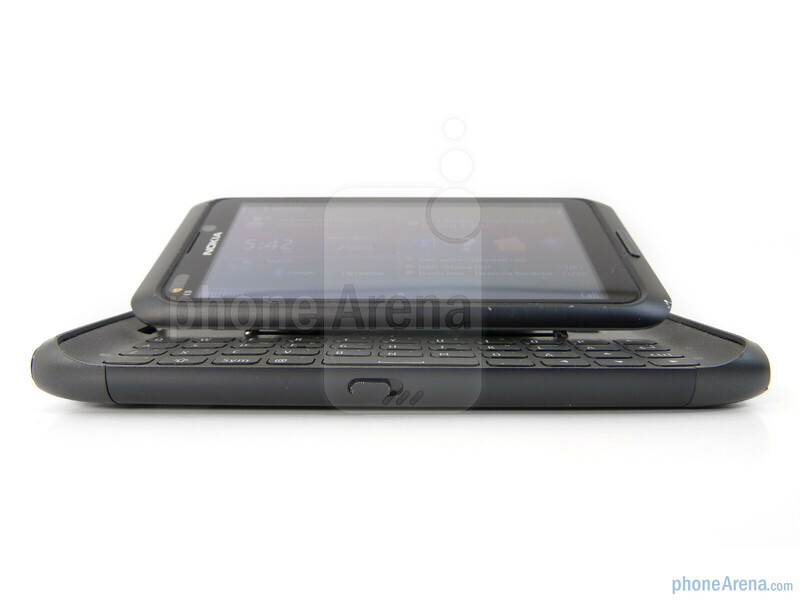 Nevertheless, the Nokia E7 is one magnificently designed smartphone that shows the kind talent that Nokia has in the design department. 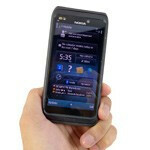 You can compare the Nokia E7 with many other phones using our Size Visualization Tool. 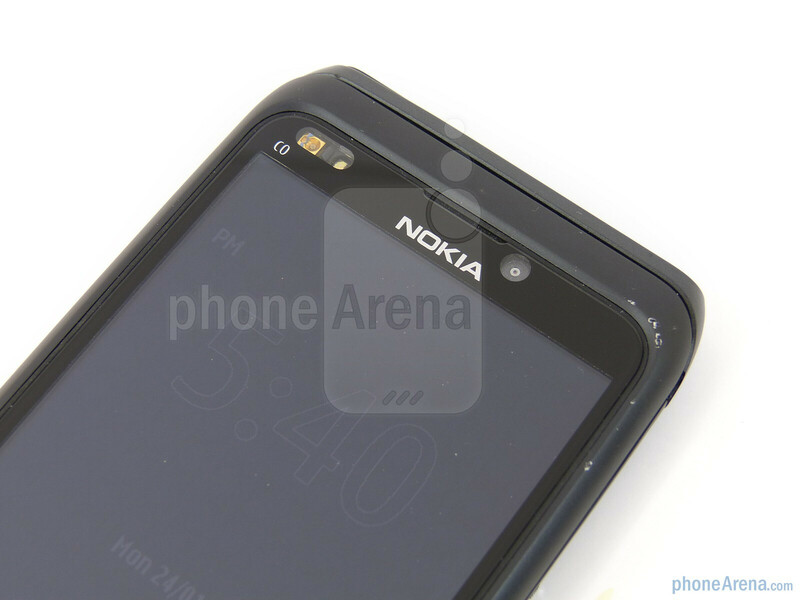 What's equally impressive about the E7 versus other Nokia smartphones is that it sizes up with an ample 4” AMOLED Clear Black Display with nHD (360 x 640) resolution and support for 16.7 million colors. In addition to the roomy real estate, which our fingers find more than adequate at this point, we adore how the AMOLED panel is capable of displaying some distinctive and deep colors – albeit a slight overall blue hue. And even though it might not contend in the same space as other handset with higher resolution displays, it doesn't particularly detract from its still distinguishable visuals. 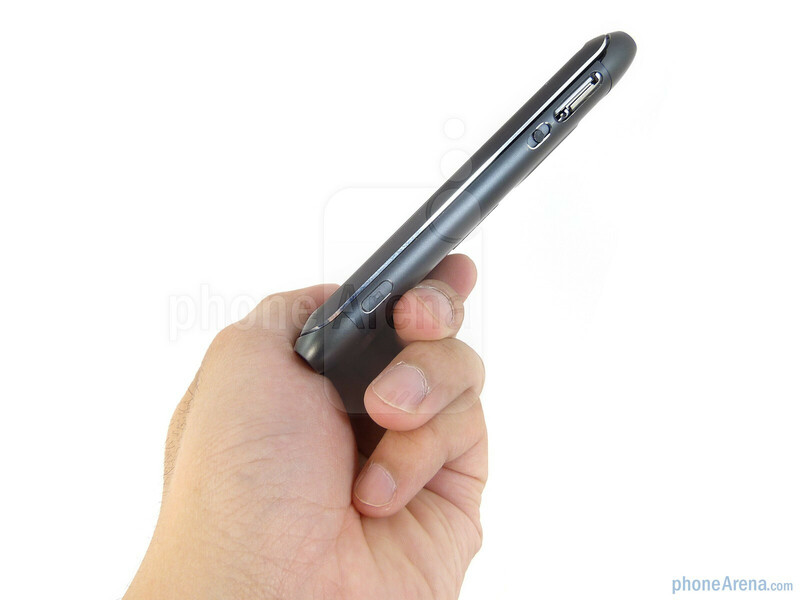 However, with this prototype, we experienced some responsiveness and accuracy issues in registering our touch – which can be contributed to the early software build with the handset. Finally, fingerprints and smudges are a problem for the E7 because they become caked into the surface and require some abrasive buffing with a cloth to remove. We hope that most of these issues will be taken care of in the final unit. Underneath the display, there is a single rectangular sized home button that also acts as the notification system that will light up or pulsate when receiving calls or text messages. On the left edge, we find nothing but an unlock switch, while the volume switch, shutter key, and SIM card slot are all found on the right side of the phone. For the most part, we didn't have any problems feeling out either the volume and unlock switches, but we definitely would've liked to see some sort of cover for the SIM slot. Taking a quick peek at the handset's flat top side, we find its 3.5mm headset jack and dedicated power button perched on their usual spots. 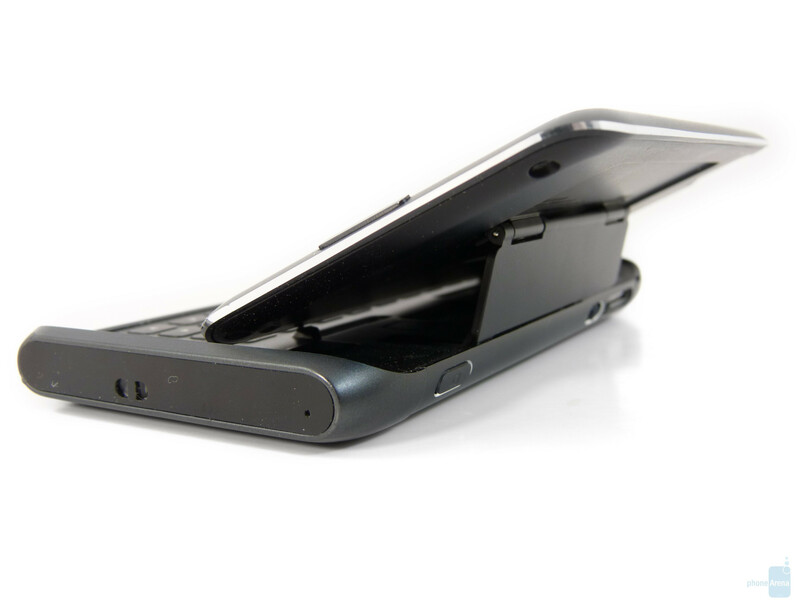 Although it's flush to the surface, the power button's size enables us to press it down without much falter. 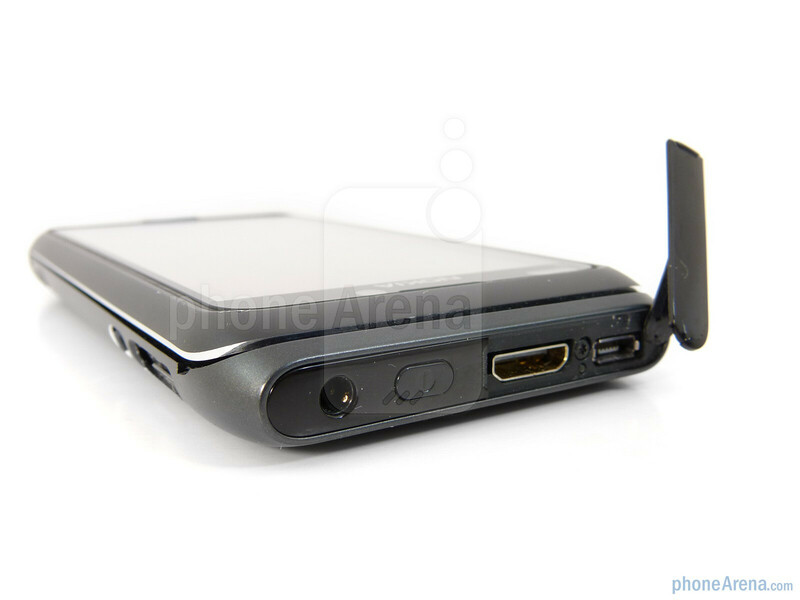 And next to it, there is a plastic flab that covers both the microUSB and mini-HDMI ports. 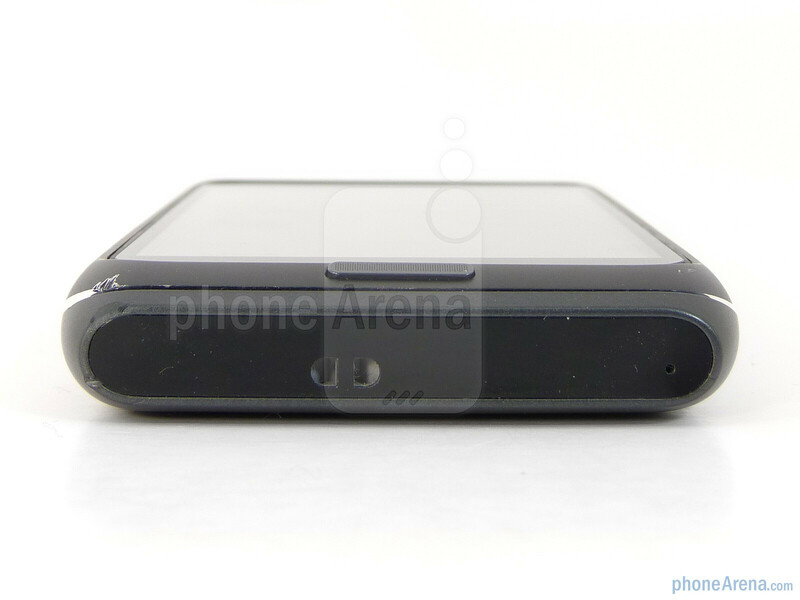 In the rear, we're greeted to the handset's 8-megapixel camera and its dual-LED flash. At first, some might be content with the large capacity, but knowing that it's nothing more than a fixed focus camera, others might be deterred from it. 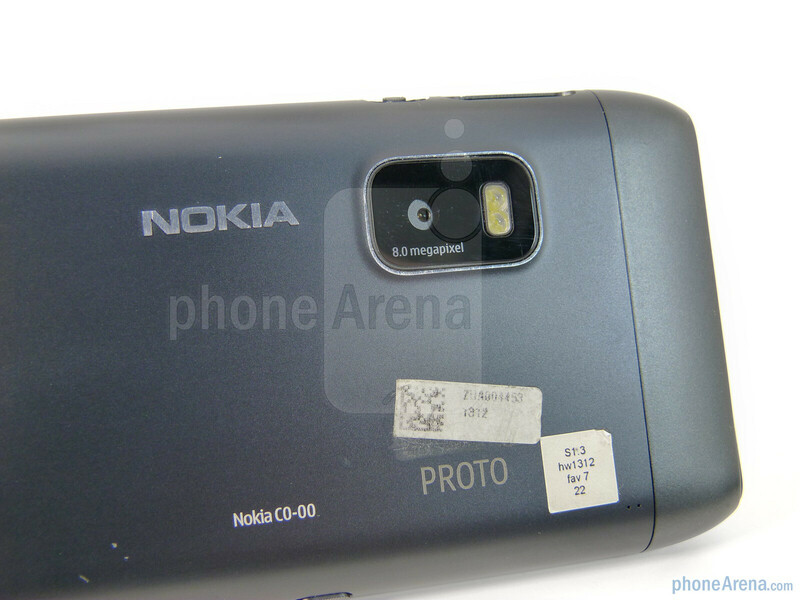 Then again, the E7 is classifies as a business oriented device as opposed to the camera centric Nokia N8. 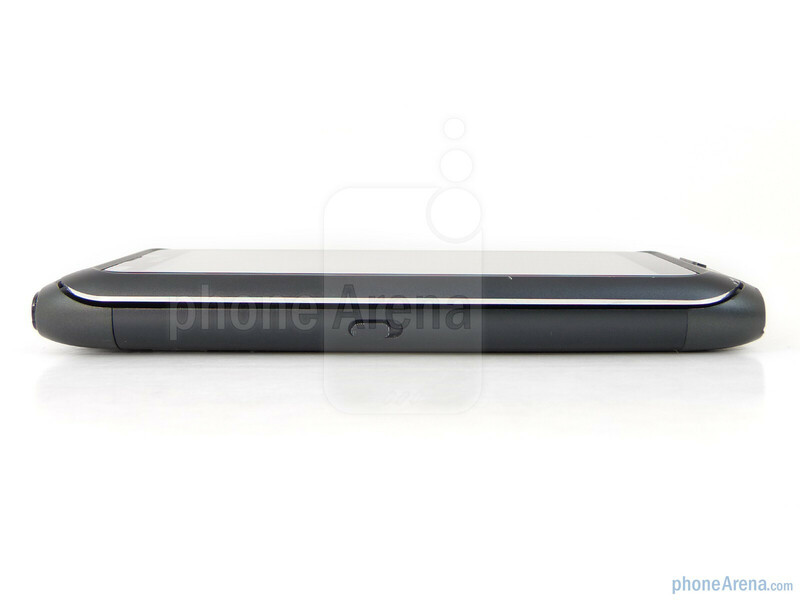 And towards the bottom portion of the rear, we find a single notch for the phone's speaker. Not to be forgotten, there is also a front-facing camera found next to the handset's earpiece – along with the light and proximity sensors close by. Without much hesitation, our natural instinct instructed us to open the handset like any other device we've used with a landscape style keyboard. But when we began using that normal sliding routine with our thumbs, we're greeted to nothing more than a baffling resistance. 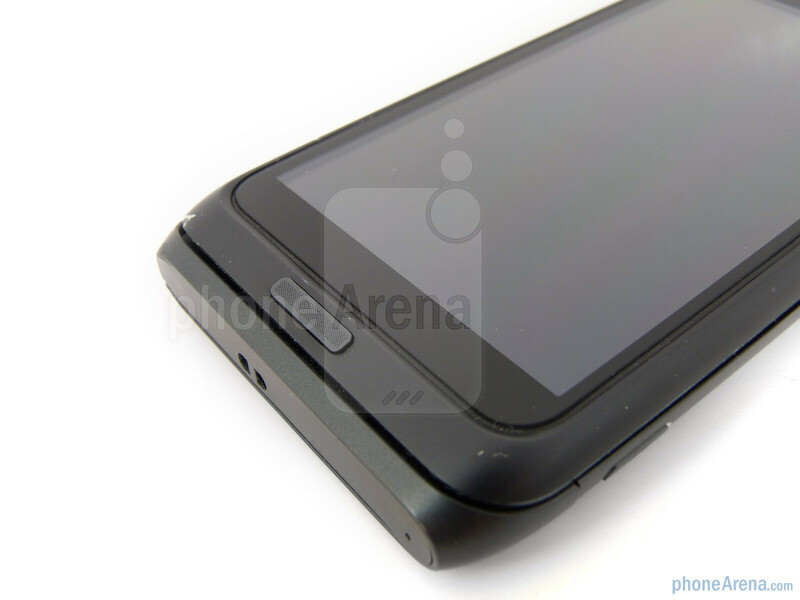 In fact, you'll need to push in and down into the handset to get the mechanism to activate and expose its keyboard. Of course, this might be due to the prototype nature of the unit. Once adjusted, we found the mechanism to be extremely satisfying as it clicks into place solidly and tilts the display at an angle. As for the keyboard itself, we find it satisfyingly comfortable to use while remaining stylishly chic with its chicklet style buttons. Medium in size, we didn't have too much problems in getting a feel for the somewhat flushed buttons, but they still offered a reasonable amount of feedback without much force required in pressing down on them. Overall, we quickly got a handle for its layout and found ourselves quickly typing up messages at a steady rate without that many mistakes along the way. For a prototype, we're amazed at this stunning beauty that Nokia has crafted with the E7 as it epitomizes all of the elements you'd consider finding in a high class smartphone. 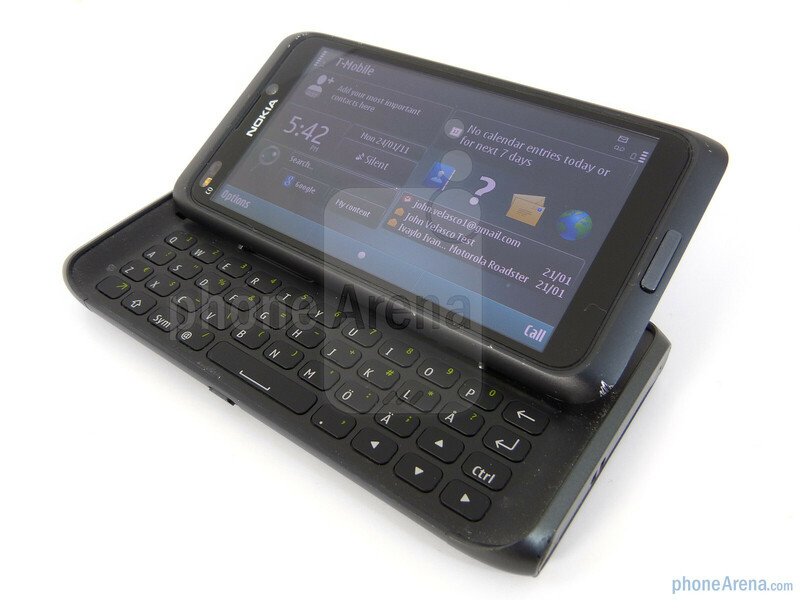 From its solid construction to sturdy choice of materials, the Nokia E7 will instantly capture the hearts and minds of consumers all around. Furthermore, it just goes to show the kind of ingenuity and talent that can arise at a heartbeat for a company that finds itself at the crossroads. Wow this is the kind of preview I look forward to each and every time I open PhoneArena for news, views, and info on the latest gadgets - fair and square! Hoping that the succeeding full review of the unit will be as unbiased as this one. 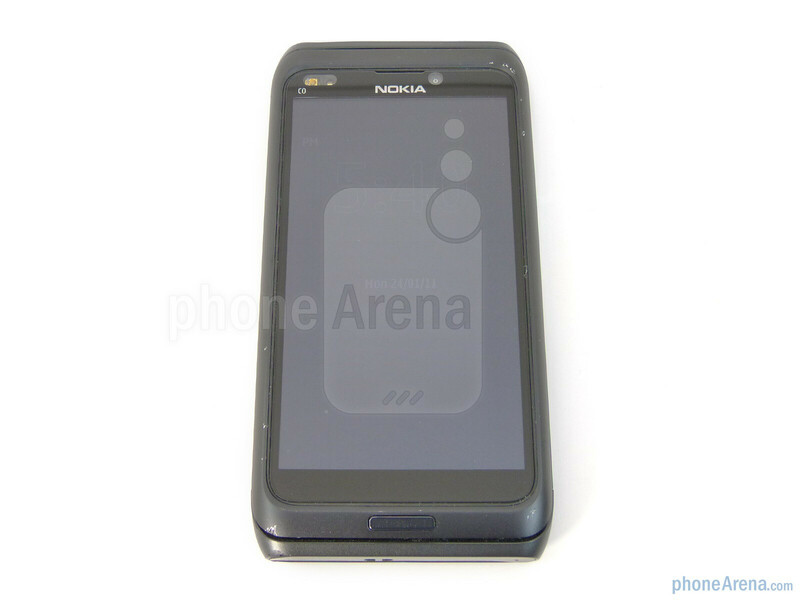 I guess an E7 with meego as the os will make it a tasty offering from Nokia. In my opinion, E7's design is better than N9's and should not be let down by the OS that, though clunky, is overly despised and trashed by irresponsible fanboys of other OS'es. I would love to get my hands on an E7 as much as I want to have an ATRIX! 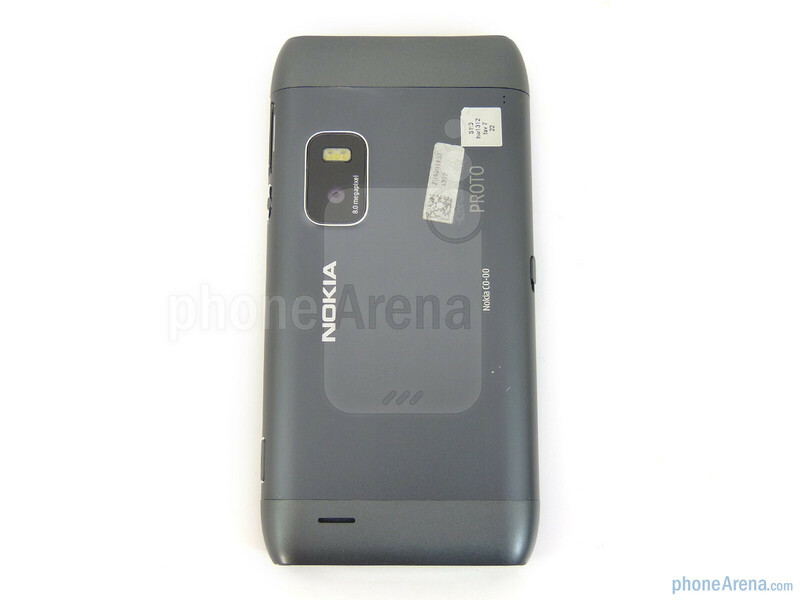 Jack: No one outside of Nokia knows what N9 will look like. The old silver qwerty photo was just a super early proto or even consept. 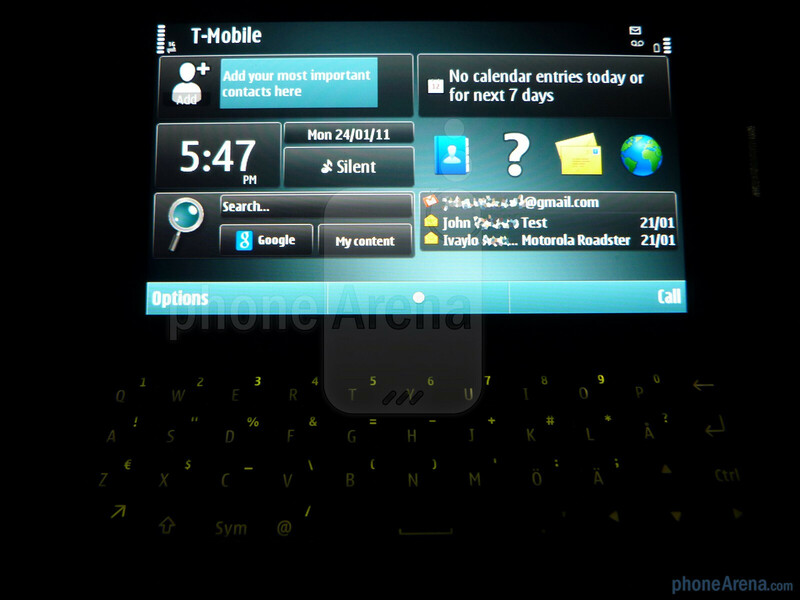 N9 will liike nothing like that, and pretty sure it dosent have qwerty. N9-01 or smt will have fysical qwerty. box: With usb on the go you can blug your whole hard drive on E7. Its a business model and thats why MicroSD isint that important. Fixed focus camera ? I never though i will see another in 2011.The pics look worser than my old E90. 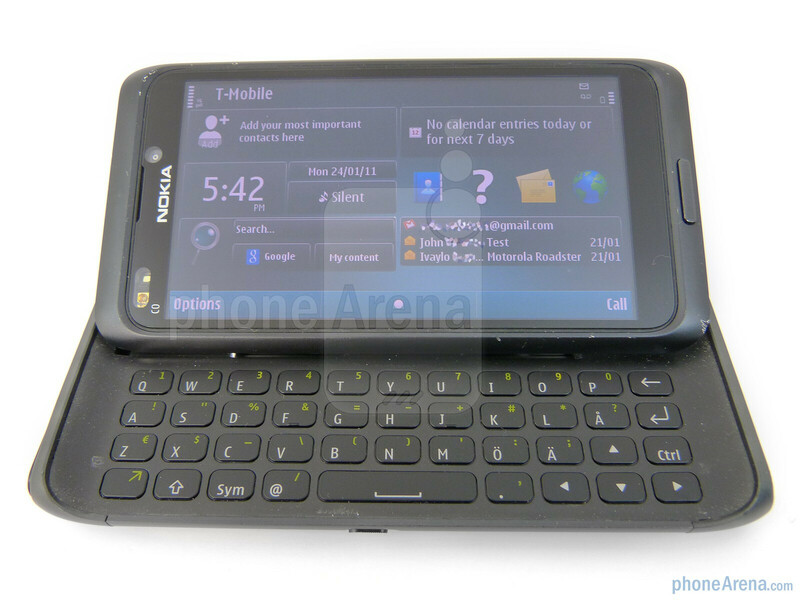 With a lower res screen than a E90 and smaller keys, i have no idea why everyone keeps saying nokia has good hardware?? E90 and E71 were exceptions in a otherwise crappy barren finnish landscape..